To thanks for all of our Kt Kingtronics customers support, recently we specially customized a bookmark clip office stationery souvenir for you. Hope you will like it. This kind of bookmark clip is based on Kt Kingtronics M7 Diode, which color and appearance are very close to the real product. It will more convenient for you to collect some important information with it. 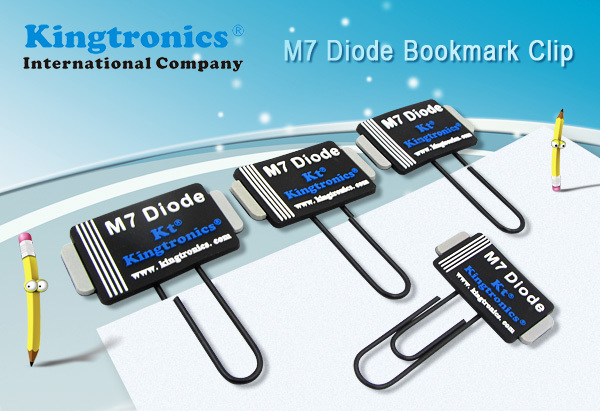 When using this bookmark clip, wish you will have a deep impression to our Kt Kingtronics M7 Diode. M7 Diode Bookmark Clip Office Stationery Souvenirs are free to provide. If you are interested in it, please contact our sales to get it. In the future we will regularly launch some new gifts for our Kt Kingtronics customers. Please pay attention to our official blogs or our website latest news.